There is no cure for the common cold but most doctors recommend that you take in plenty of fluids, which can help loosen the mucus in the respiratory tract and help you feel better. You may want to know what you should drink when you have a cold? Are there some beverages that will keep you from getting a cold? Fortunately, this article has answers to this and will tell you about some remedies you can take to relieve some of the symptoms, including sneezing and coughing. Water is perhaps the best thing you can take when you have a cold. It helps you stay hydrated even if it isn’t curative for the cold. You fight off diseases better when you are totally hydrated. Try drinking warm lemon water, which helps with the congestion. Salt water gargling (¼ teaspoon salt in a cup of water) will help ease the soreness of an aching throat. What to drink when you have a cold? Try tea. 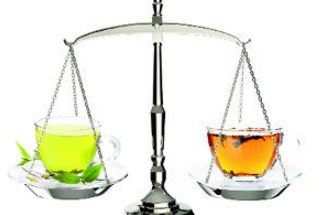 Both types of tea are high in polyphenols, which are a type of antioxidant. They are both things you can drink in order to stave off the symptoms of a cold. Try a single spoonful of honey along with the tea because it has been known to be anti-bacterial. Raw honey is better than honey that has been processed, and honey can also help with the cough you might be having. 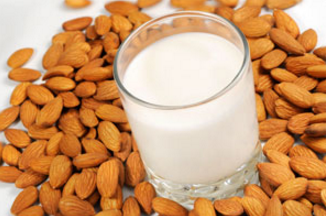 Almond milk is a type of alternative milk that is high in zinc, vitamin E and protein, all of which are good for your immune system. Healthy fats can also help your immune system: the fat found in almond milk can enhance the anti-inflammatory response in the immune system. Orange juice is perhaps one of the best things to drink when you have a cold. It contains vitamin C that helps in fighting off colds. 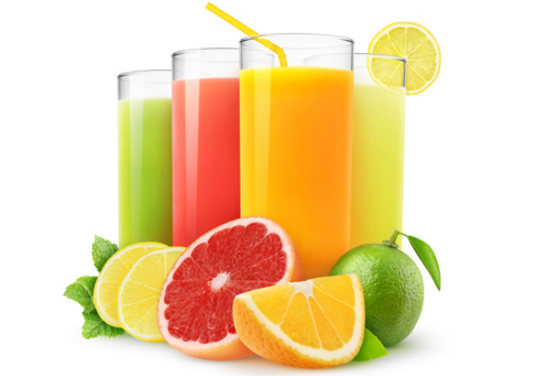 If you drink a glass of orange juice, preferably 100 percent orange juice, you may be able to have less severe cold symptoms. This is a common homeopathic treatment for colds. It contains ginger, which has good antibacterial properties; lemon, which contains high level of vitamin C; capsaicin, which is found in cayenne, can help thinout the mucus so the cough can be looser; and honey, which is well known to increase the immune system and ease a sore throat. You can mix these things together and steep in a teapot or cup for about five minutes before drinking. What to drink when you have a cold? Try Rainbow Chard Smoothie. 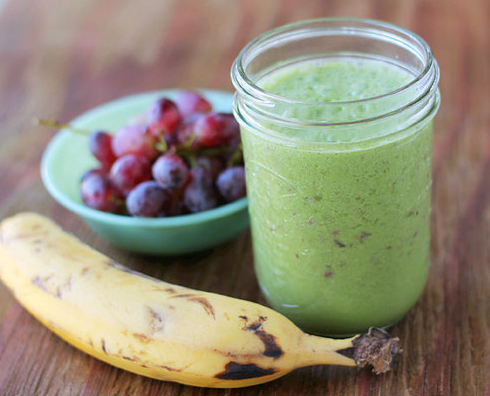 This is a very colorful smoothie that is high in calcium, protein, vitamins and folates. Rainbow chard mixed with coconut milk (which fights infections) as well as pineapple (high in vitamin C) or lime juice make for a great smoothie that will maximize your immune system. Just blend them together in a juicer or blender along with ice and drink out of a glass. 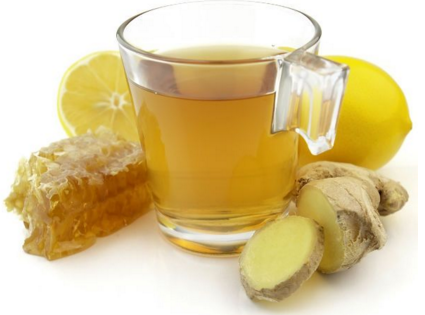 This is a common treatment for the common cold as it can help ease your sore throat. It is high in sodium, which can have anti-inflammatory effects on your body. 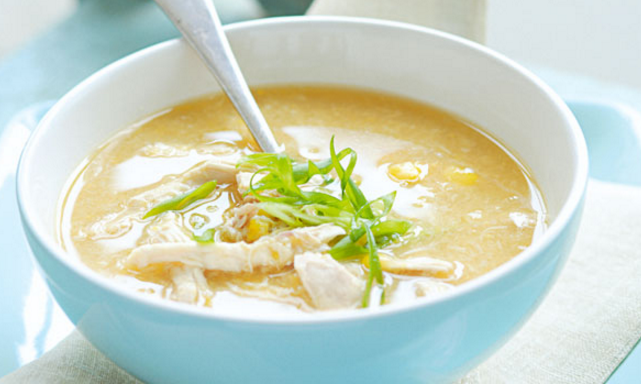 Soup is better for you when you have a cold because it can be difficult to eat with a sore throat or a painful mouth. It provides you with some great nutrients that can help you get rid of any infection. Apart from “what to drink when you have a cold?”, “how much should you drink?” is also a question people always ask. When you get cold, the best thing you can do is to stay hydrated by drinking lots of fluids. Because the fever and congestion can increase the fluids your body loses during the illnesses. 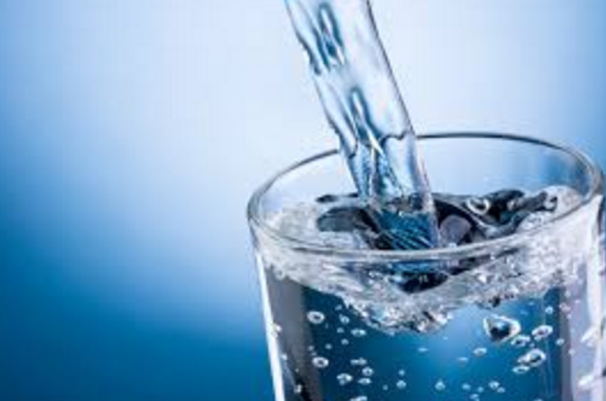 If you don’t increase your intake of fluid while sick, you can get dehydrated. You should try to consume at least 8 cups (250 ml each) every day. Child should drink at least 90 to 120 cc of fluid each hour. Sick baby under 1 year’s old should drink between 30 and 60 cc of fluid each hour. However, avoid drinking too much, because too much fluid (especially water) can lead to hyponatremia or low sodium levels in the bloodstream. There are some foods you’d better avoid eating. Sweets. If you eat foods that are too high in sugar, you can reduce the effectiveness of the immune system so you get excess inflammation. Sweets might sound good but shouldn’t be eaten as long as you are sick. Fatty foods. You should stay away from fatty food, including fast food items. They are harder to digest when compared to protein and carbohydrates and can therefore cause stomach pain after eating them. Caffeinated beverages. Ultimately, anything you drink with caffeine in it will cause dehydration. So avoid energy drinks, colas, and coffee. Alcoholic beverages. Alcohol can also cause dehydration so you should stay away from it. Alcohol also negatively impacts the immune system, which means that alcohol intake can lead to an infection.